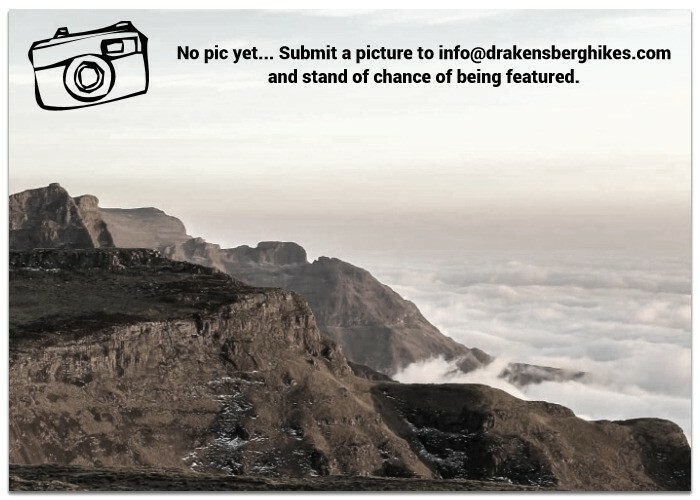 One of the Drakensberg's greatest treasures is cultural. 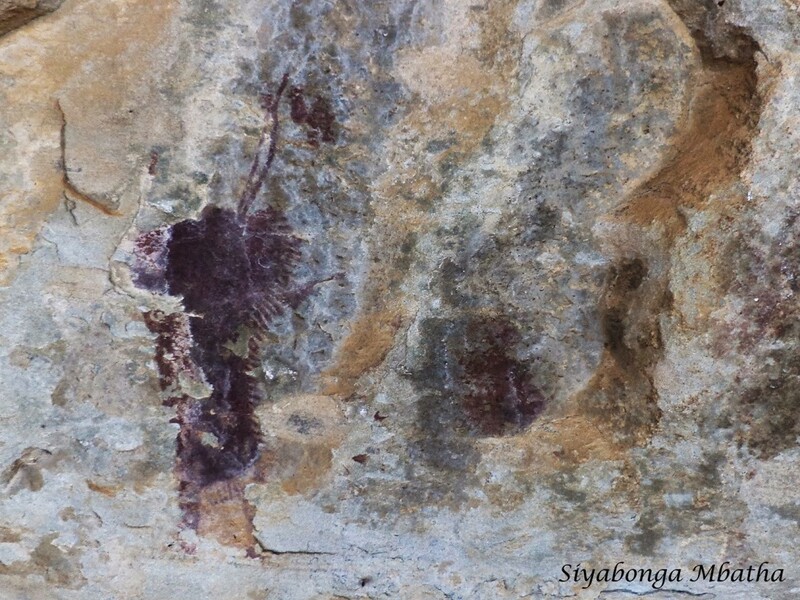 Some 40 000 individual rock paintings have been recorded at 600 different cave and overhang sites between Royal Natal and Bushman's Neck. 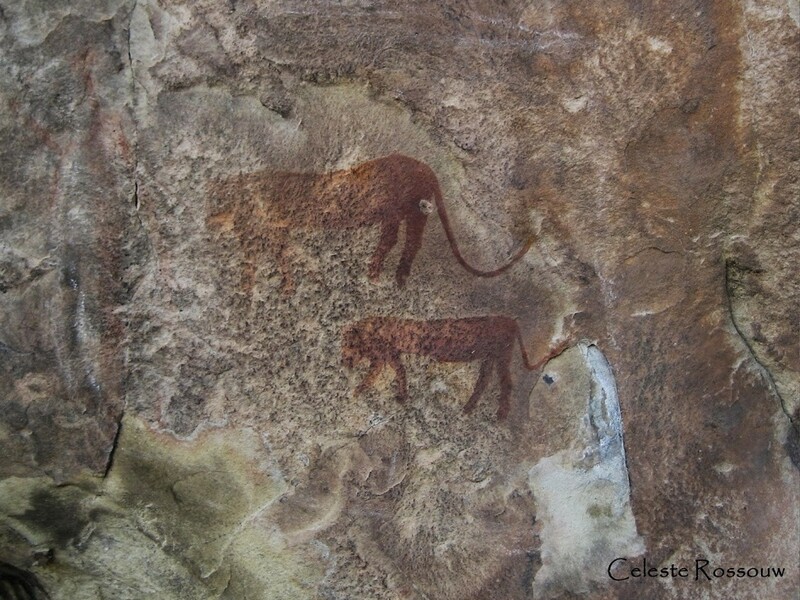 Subjects range from animals (mainly eland) to humans, therianthropes to ox-wagons and mounted men with rifles. 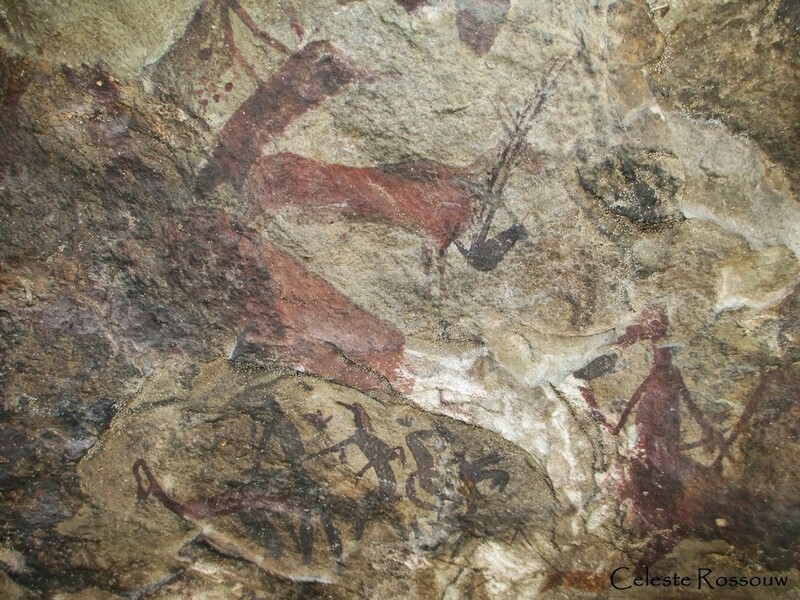 In Ndedema Gorge 3 900 paintings have been recorded at 17 sites. 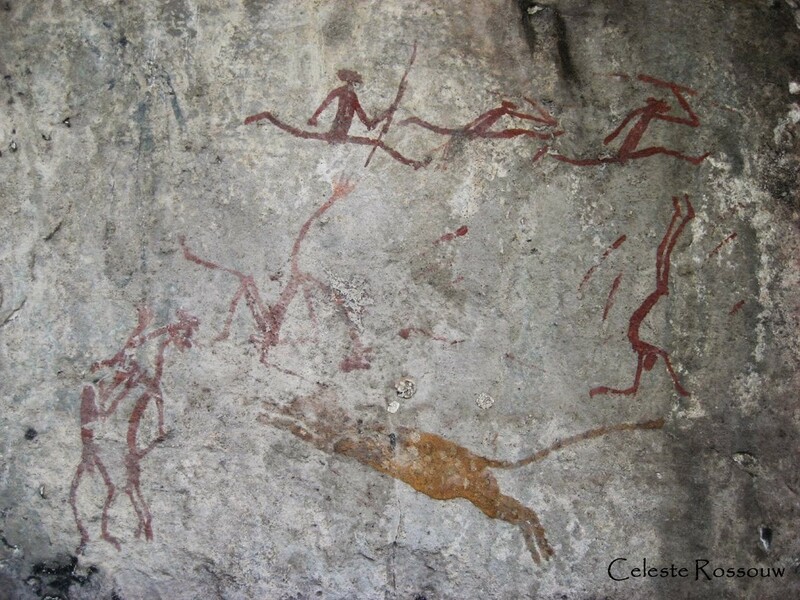 One of them, Sebaayeni Cave, contains 1 146 individual paintings. 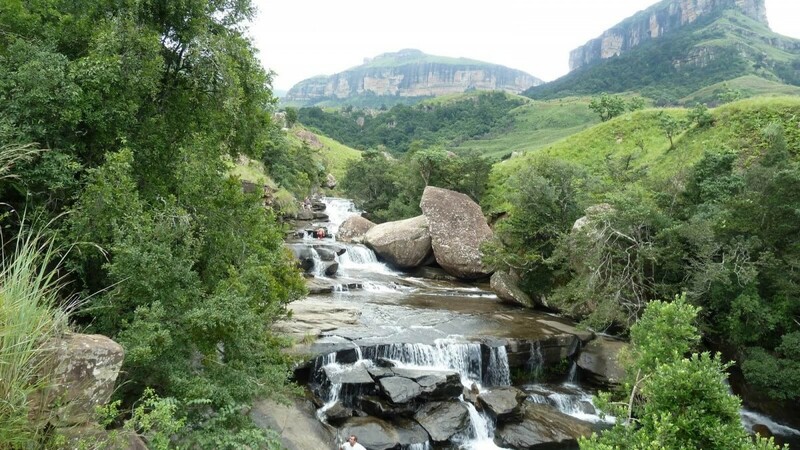 In the Cathedral Peak Mdelelelo Wilderness Area there are another 130 sites with a total of over 8 800 individual paintings. 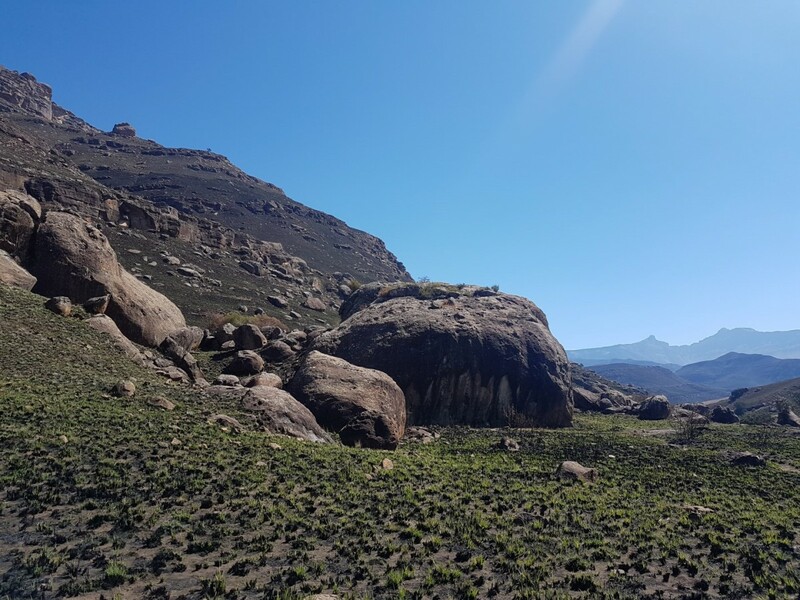 Other prime sites include the Main caves in Giant's castle game reserve, Battle Cave in the Injasuti Valley and Game Pass Shelter in the Kamberg Nature Reserve. 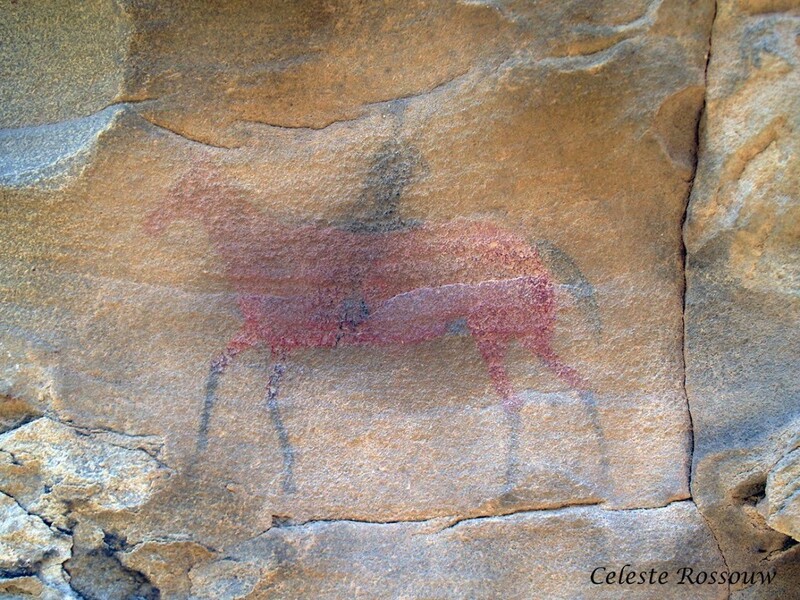 The list of sites below are of rock art sites officially opened for public visitation. 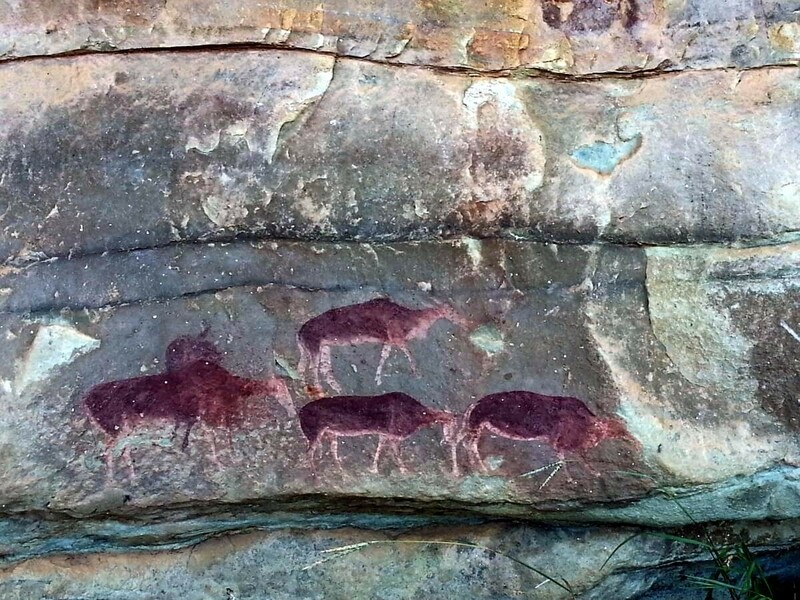 There are other rock art sites in the Drakensberg, if you stumble accross one of them please abide by the following code of conduct applicable to all rock art sites. 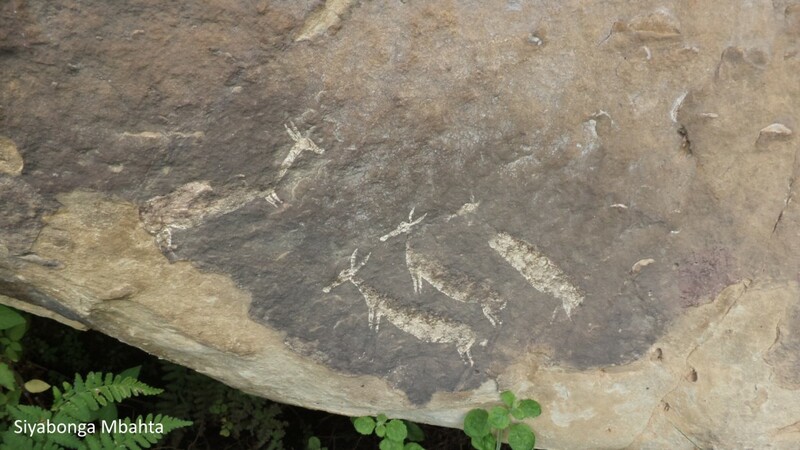 No person may access any area within 50 meter of a rock art sties unless he/she adheres to the access and control measures instituted by Amafa KwaZulu-Natal in consultation with the land owner or manager. 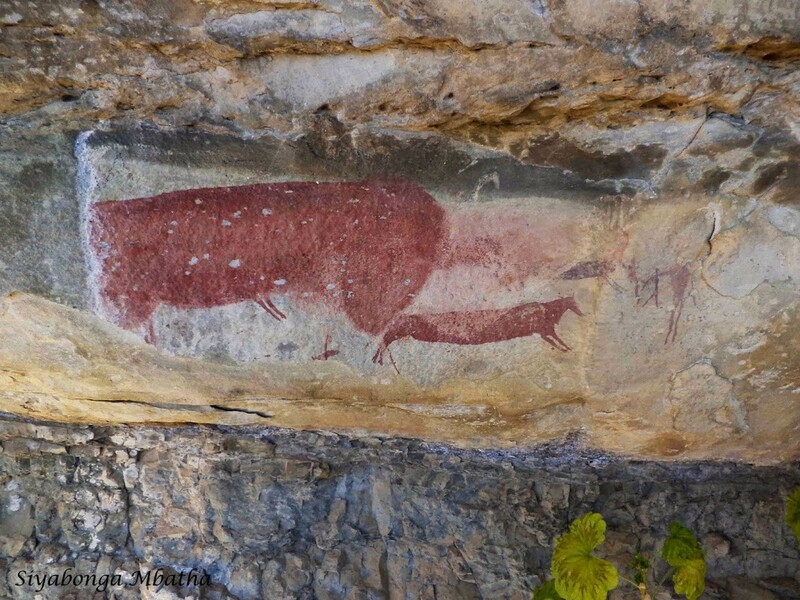 Visitors may only visit rock art sites that are officially open for public visitation and they must either have a permit or be accompanied by an Amafa accredited custodian or guide depending on the management arrangements at each site. 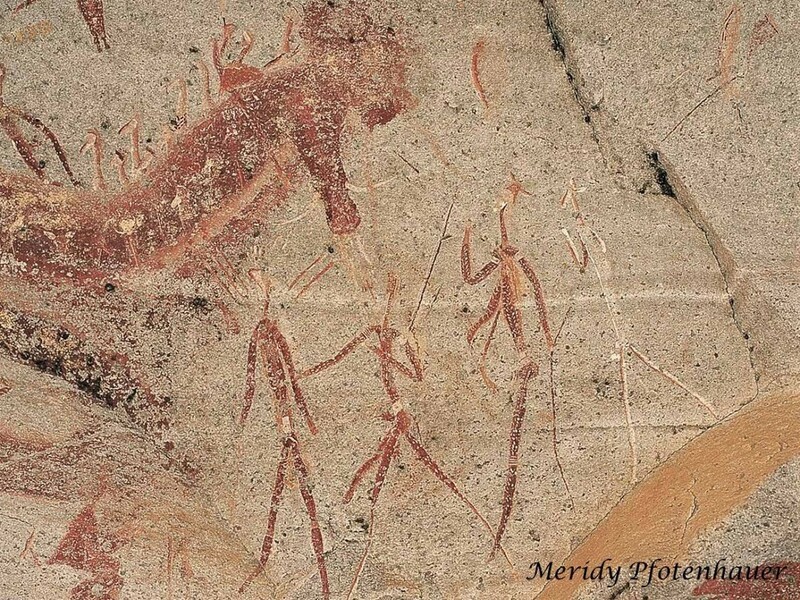 All of the open sites have a management plan and trained guides or custodians that will accompany the guests to the rock art site, relate the code of conduct and that would supervise the visitors’ behaviour. 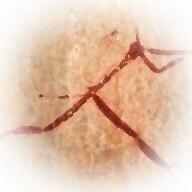 Leaning anything against the paintings. 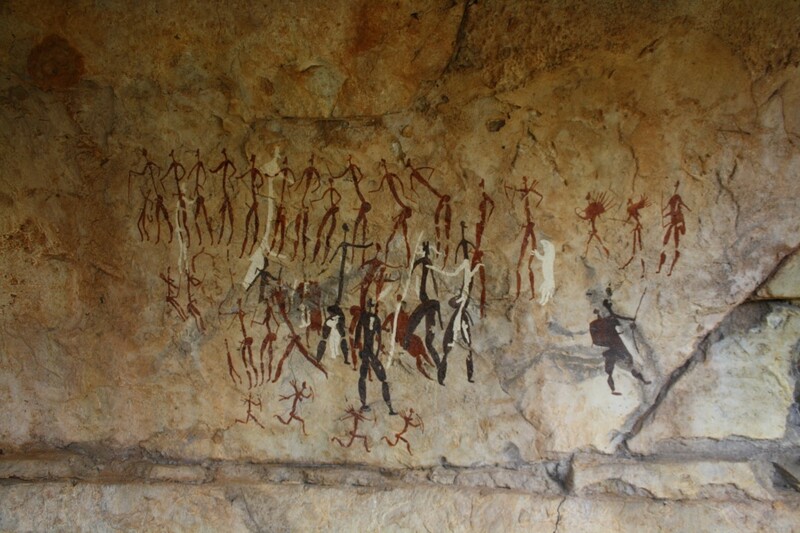 Pouring liquid onto the paintings; this is an act of deliberate defacement. 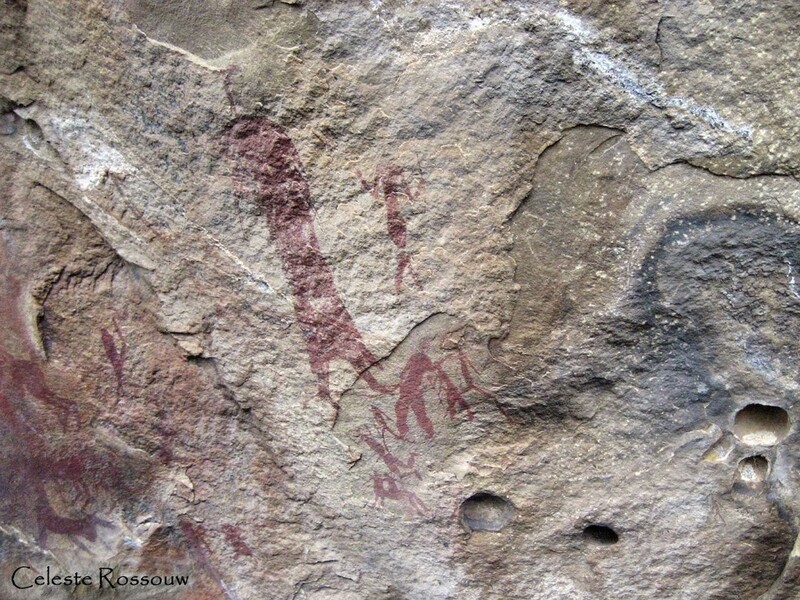 Drawing or scratching on the paintings or rock face and decorating or damaging the walls of the site. 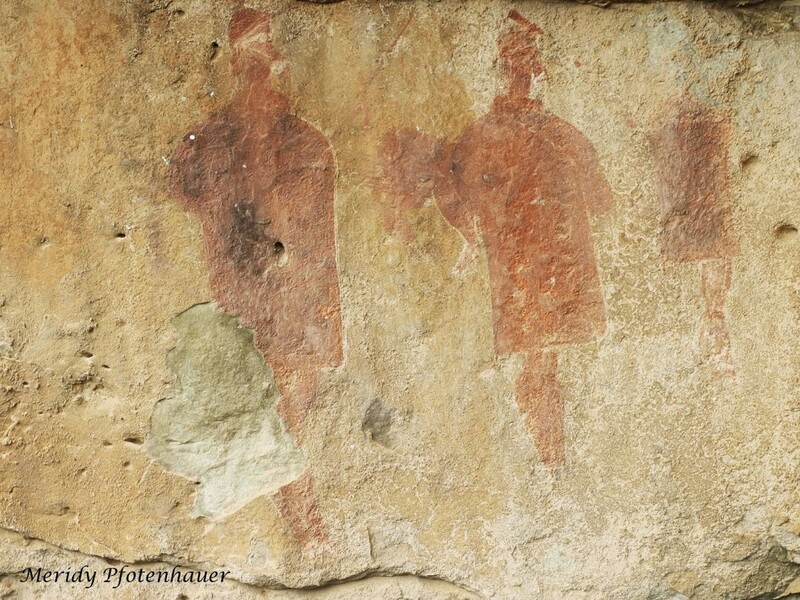 Stirring up dust when walking through the sites. 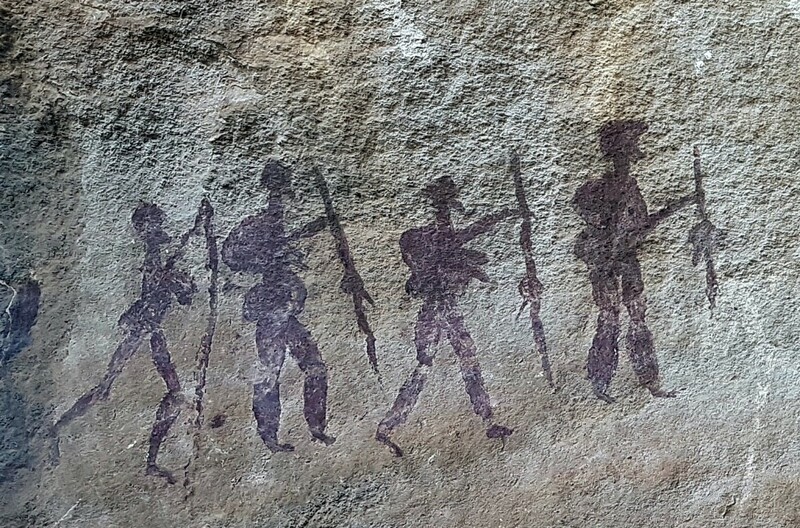 Removing any artefacts or stone tools. 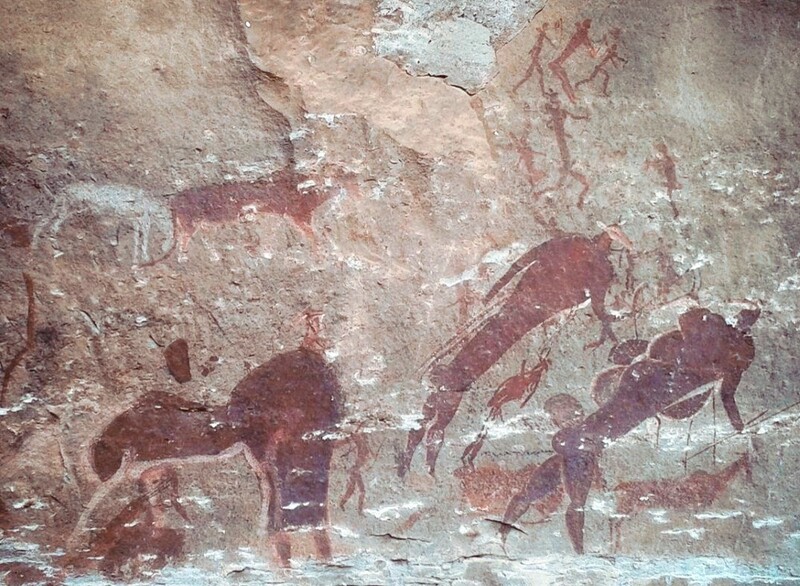 Camping in or near sites with paintings. 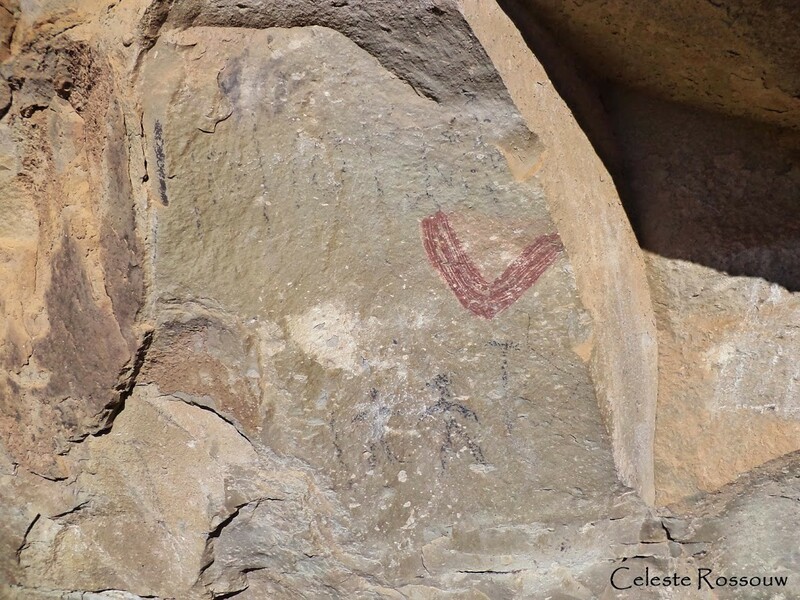 Littering, making fires or using candles near rock art sites. Penalties for contravention of this section includes: “A fine or imprisonment for a period of three years or to both such fine and imprisonment”. 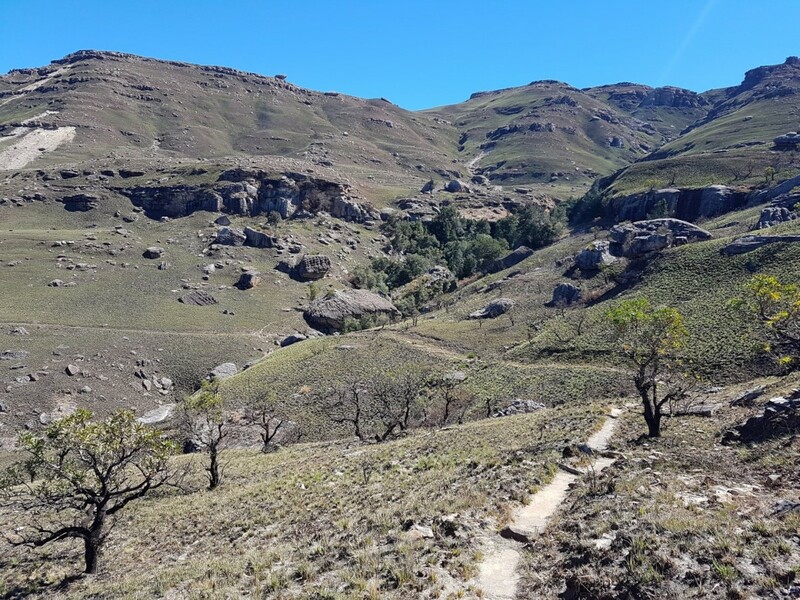 Hospitalspruit Cave also known as Knuffel’s Shelter is in the Monks Cowl area and provides excellent shelter and has a level floor. 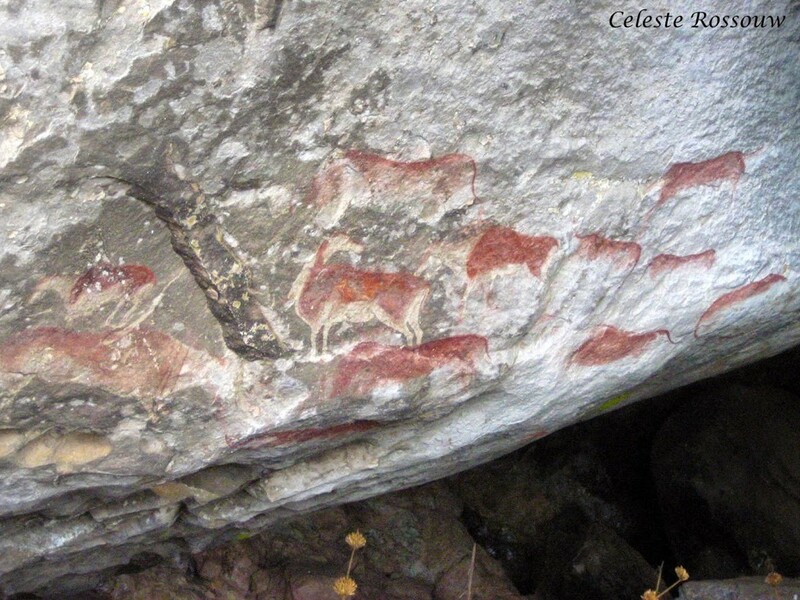 Ikanti #2 is in the Cobham area. 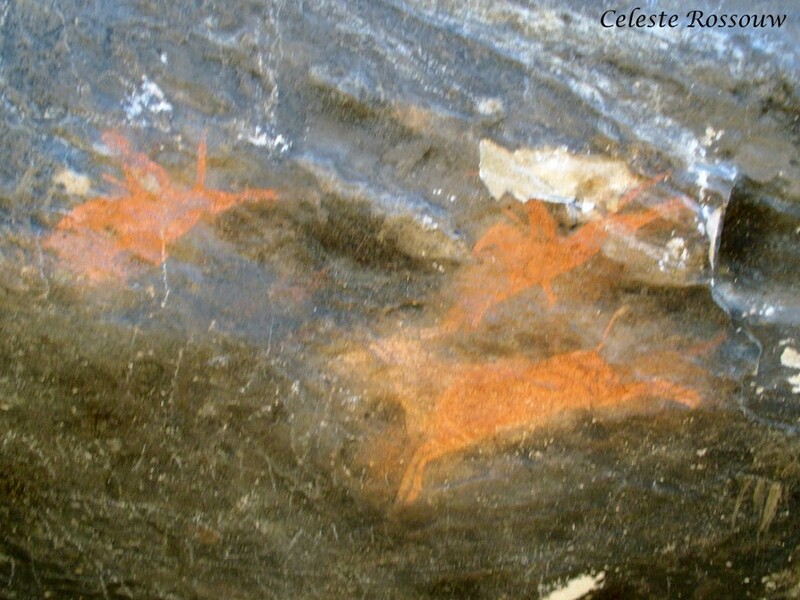 Interpretation by Celeste Rossouw: In this image two tall figures are painted above smaller humans. 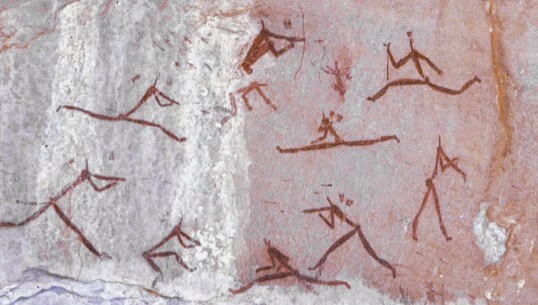 During trance or altered state of consciousness, shamans felt as if they are “growing taller”. 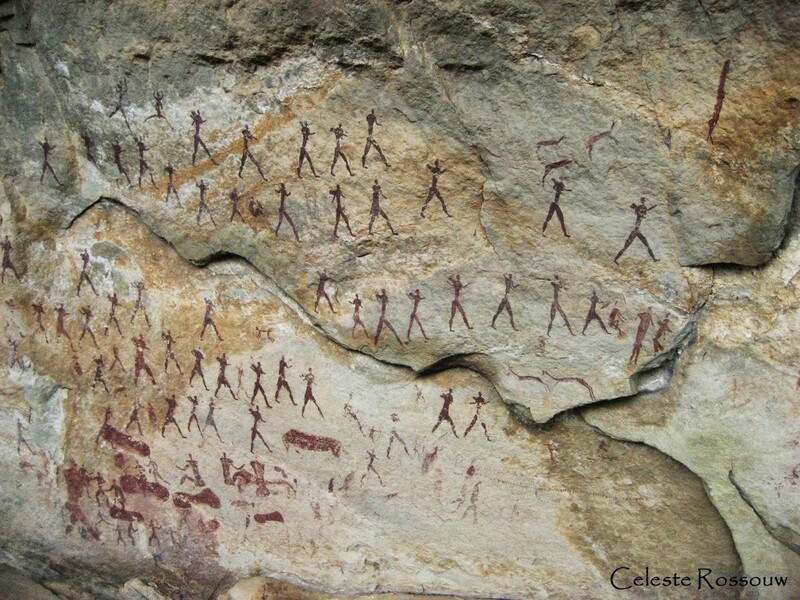 This is the result of psycho-somatic hallucinations experienced during trance.